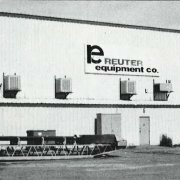 Reuter Equipment Co. was originally founded in 1932 by Ivan Reuter as AZ Cedar Rapids Company. 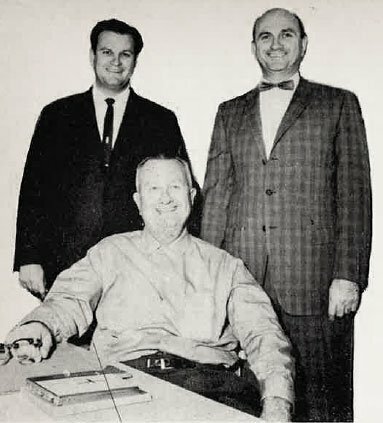 When Ivan died in 1975 the company was reorganized and his son Frank Reuter took over the company. 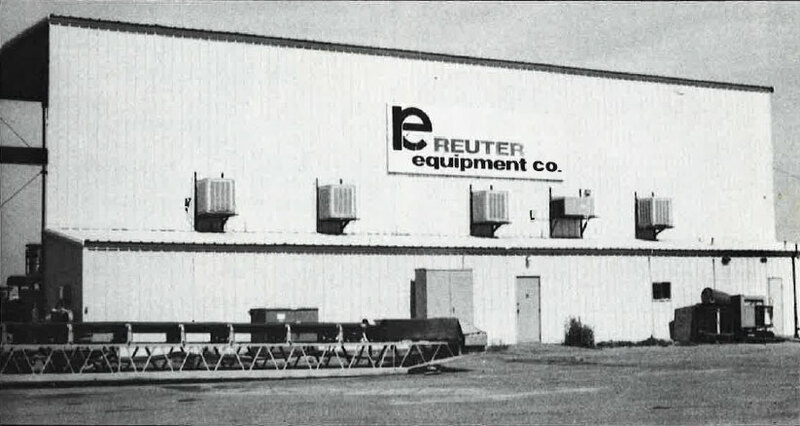 In 1985, Reuter was purchased by John Jacobs and Ken Weeks. 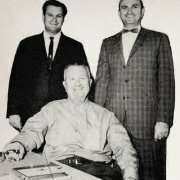 In the early 2000s, REC was purchased by John Jacobs’ daughter Carol Jacobs-Fellars and Frank Reuter’s son Mark Reuter. In January 2019, Brad Cable was made Vice President of REC. We provide quality equipment and service at competitive prices assist contractors in the building of new and existing roads and infrastructure projects in the southwestern portion of the United States. 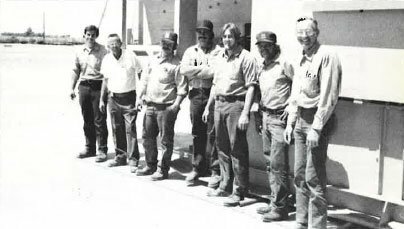 Reuter Equipment recognizes the importance of our contractors’ commitment to quality work. The challenge is processing as much high-quality, in-spec material as possible in strategic location. We take strides to help make that possible by utilizing our expertise to assist customers with the designing of new crushing spread and modernizing existing crushing operations with a goal of increased productivity and lower costs. 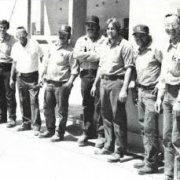 Reuter Equipment Company holds a high standard of customer satisfaction. A part of accomplishing customer satisfaction is taking the time to listen, talk to and educate the end-users of our products. We believe in “customer service” well after the sale is complete. Our customers are not just names in a file, they are our friends. Superior, prompt, accurate service will give a customer an edge in this highly competitive market. You must be willing to provide staff and maintain an inventory of parts and supplies; we are dedicated to this. Reuter sells, leases and services crushing, screening, conveying, washing, water recycling, asphalt and concrete recycling equipment. Reuter carries complete lines of equipment that allows a customer to custom design for their needs based on the expert recommendation by Reuter staff. Customers can consider high production at low cost to be a part of that design and conscientious follow up by Reuter personnel insures that customer’s can rely on their equipment producing long after the sale is complete. We carry replacement parts and wear parts for crushers, screens and conveyors. We carry an extensive parts inventory. 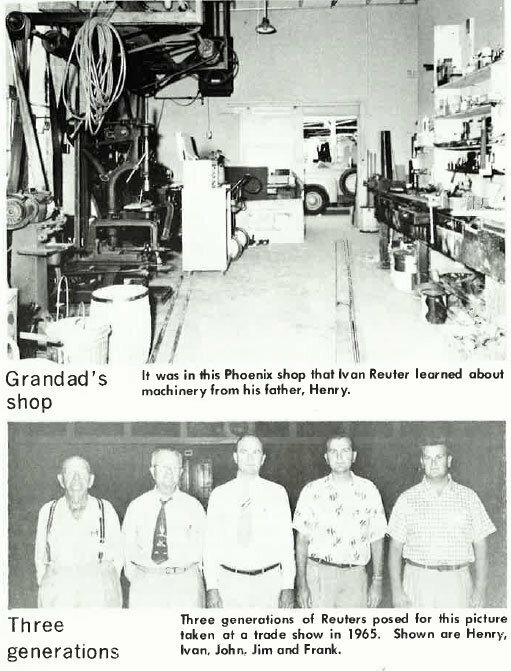 Our Phoenix location offers in shop service, repairs and field service, as well as fabrication of customer specific equipment. 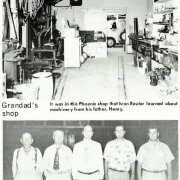 Reuter Fabrication is an on-site custom fabricating facility in Phoenix, AZ. Reuter Fabrication became operational in September 1998 and is owned by a team of managers. Reuter Fabrication utilizes state of the art equipment to manufacture a variety of customized products, silos, conveyors, chassis, bins, gates, and rumble strips to name a few.